Religion is an important part of India, be it Hinduism, Jainism, Buddhism and the likes. Centuries ago, man had no machinery, tools and equipment like we do today; still they managed to make amazing things out of their hand held tools. One one the most incredible feats achieved by man is rock-cut architecture. Creating of temples in mountains, cliffs and rock formations just shows their belief and devotion. 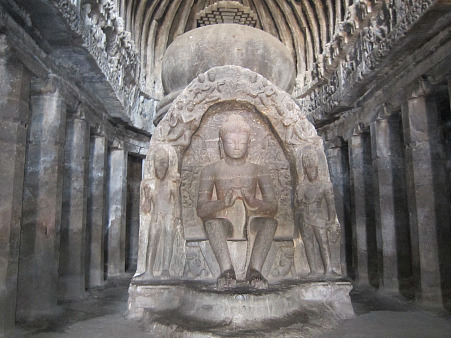 Ajanta was a Buddhist settlement near Aurangabad, in Maharashtra. There are 29 caves which are carved out of a horseshoe-shaped hill side, and was discovered by British soldiers. Many paintings have been found in these caves. 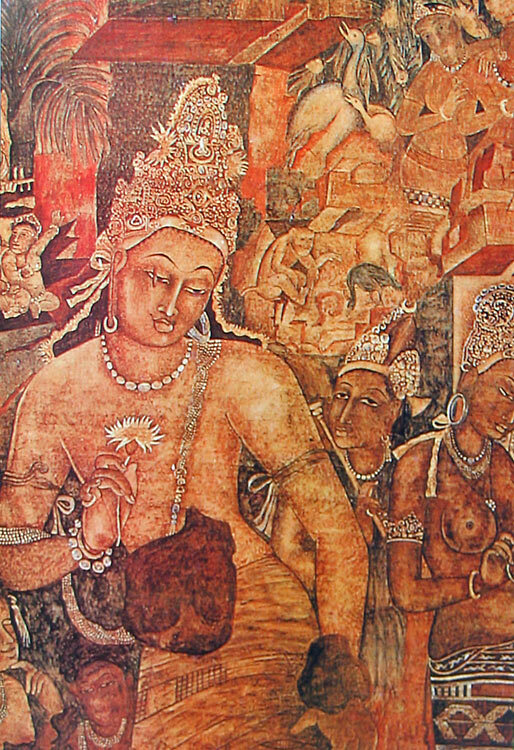 They depict themes like the court life, feasting, processions, festivals, various wildlife etc. They have degraded slightly due to flash photography, but still photography isn’t banned here. This particular painting is called the Dying Princess. This is the Padmapani Bodhisattva and it dates back to the late 5th century A.D. 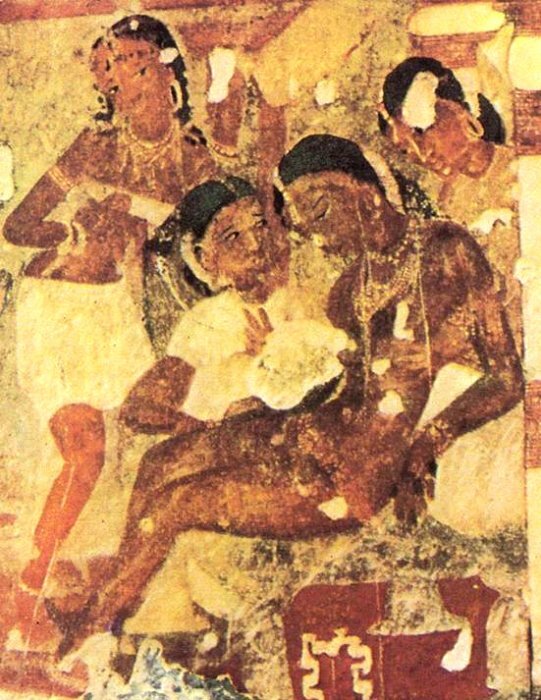 This particular painting was found in Cave 10 and consists of many painting of Buddha. The inside of a prominent stupa in cave number 26 belonging to the Buddhists. Rock sculptures inside the caves. This is a view into the sanctuary of cave 1 from the center hall. The majority of these caves are vihara halls for prayer and living. 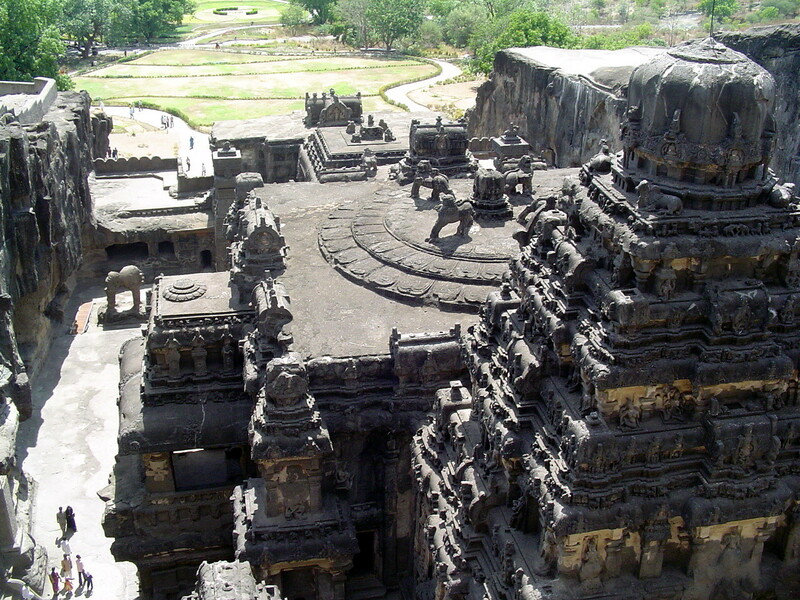 Ellora is known for its monumental caves. 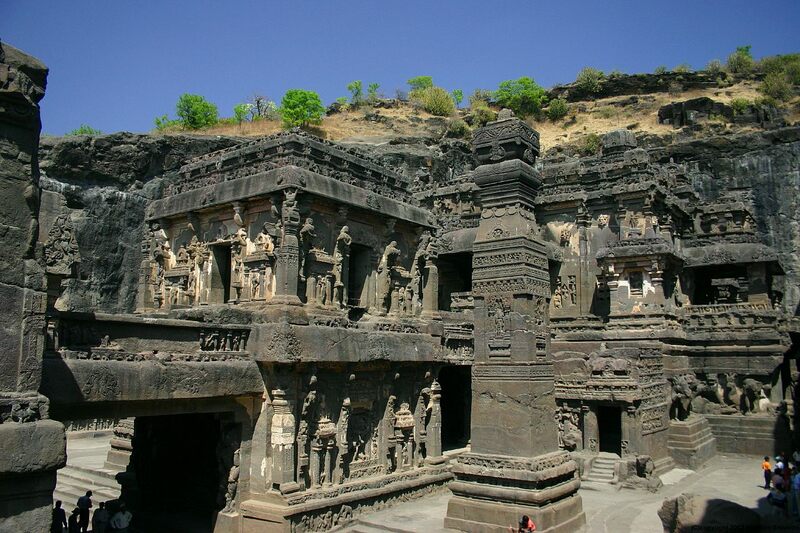 This archaeological site is situated about 29 km northwest of Aurangabad in Maharashtra. It was built by the Rashtrakuta dynasty and Yadavs. It represents the perfection of Indian rock-cut architecture. 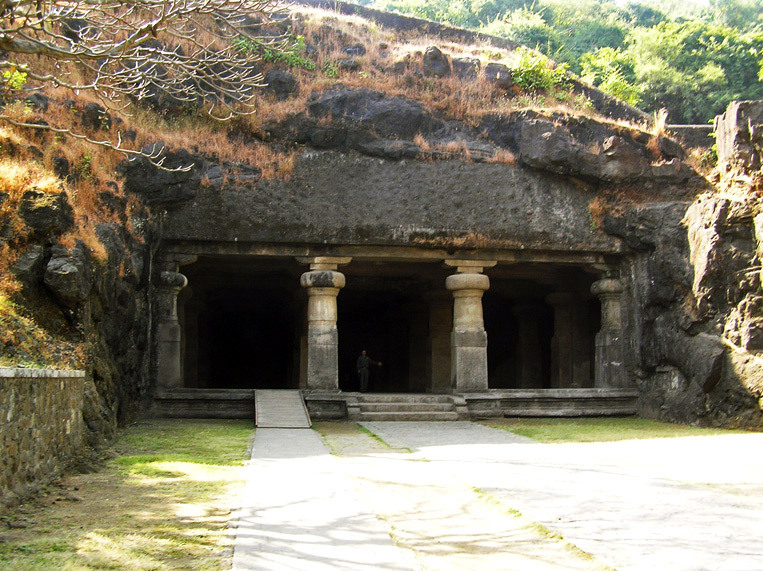 The actual caves are excavated out of the Charanandri hills. 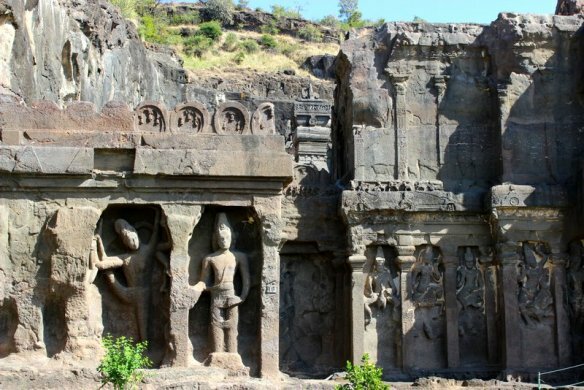 The 34 caves are an amalgamation of Hindu, Buddhist and Jain caves, which depict the religious harmony prevalent even then. 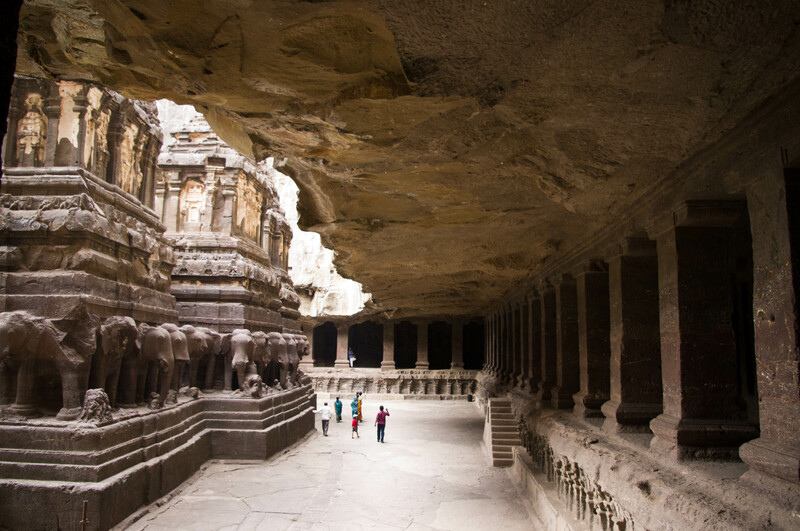 The Kailasa Temple is the largest rock-cut ancient Hindu temple at Ellora, carved from a single rock. 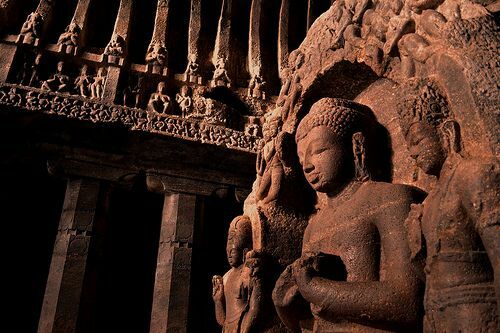 It is considered one of the most remarkable cave temples in India. The view from the top of the rock at Kailasa Temple is truly magnificent. 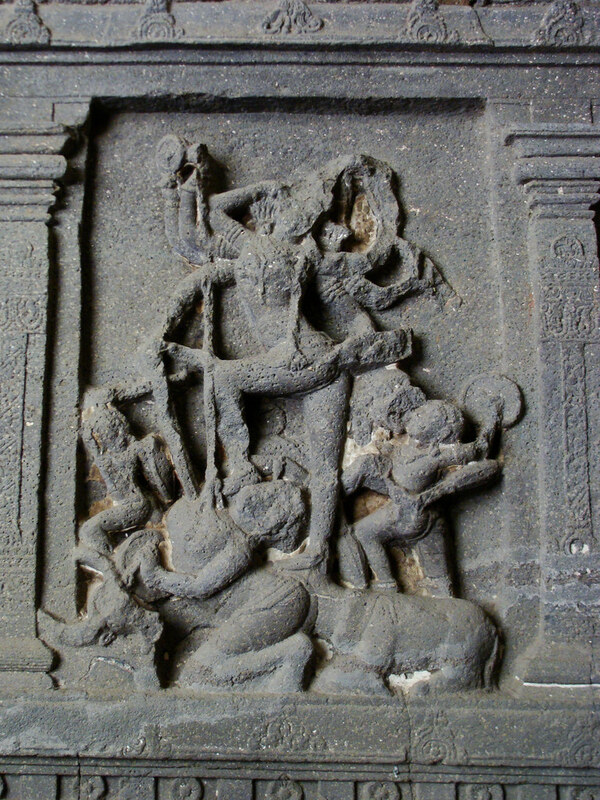 This is the Mahishasura Mardini inside the Kailash temple, which was carved in the 8th century. 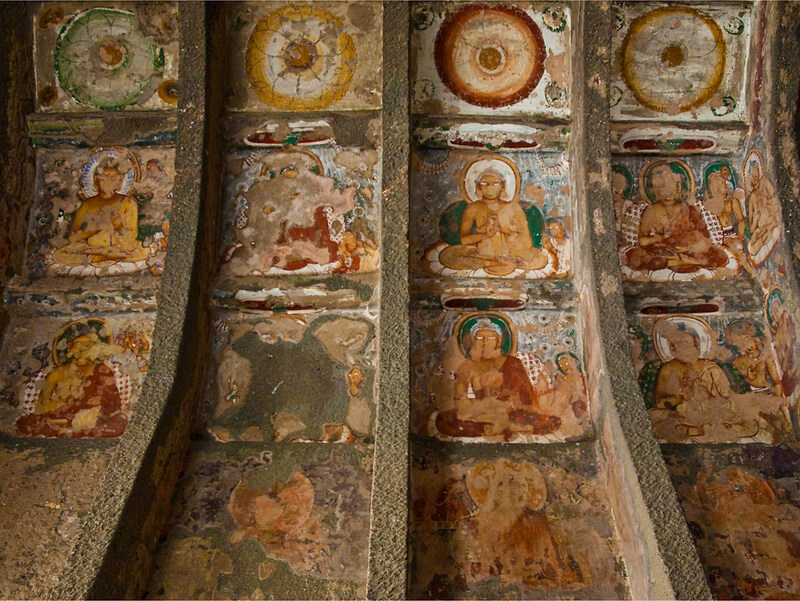 The Buddhist cave is both famous and impressive, also known as Vaishvakarma cave or Carpenter’s cave. 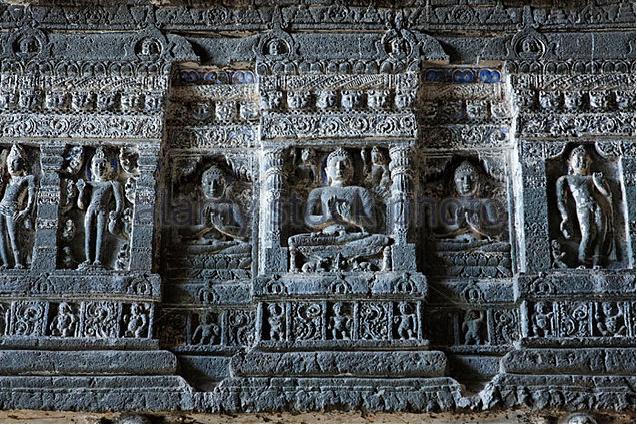 The Hindu, Buddhist and Jain monks took over 5 centuries to chisel out these elaborate and detailed designs. Their imagination and detail is truly remarkable. Each structure represents their individualism, creative vision and execution skills. 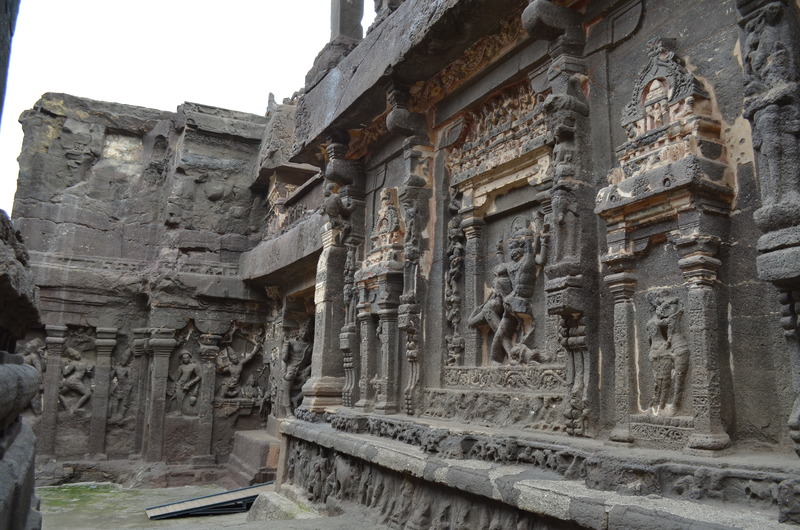 The Badami Cave Temples are located in Badami, situated in the northern part of Karnataka. 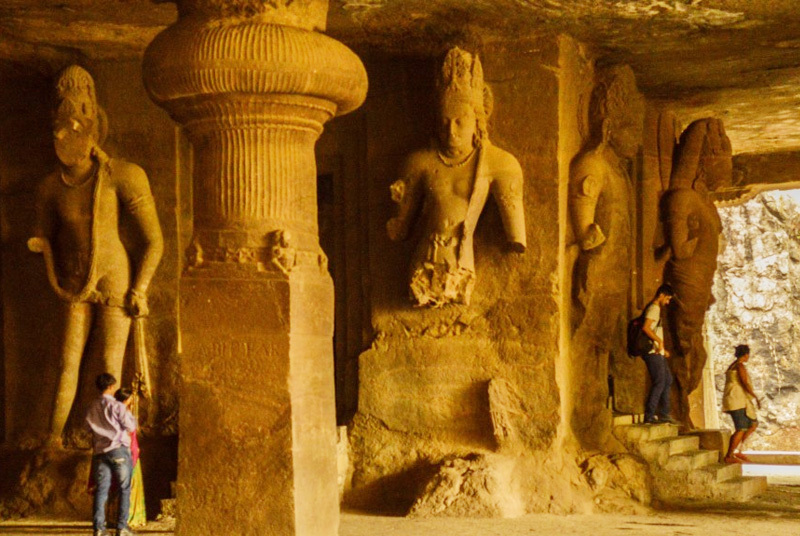 These caves also comprise of Hindu, Jain and possibly Buddhist cave temples. The rock-cut architecture dates back to the 6th century. 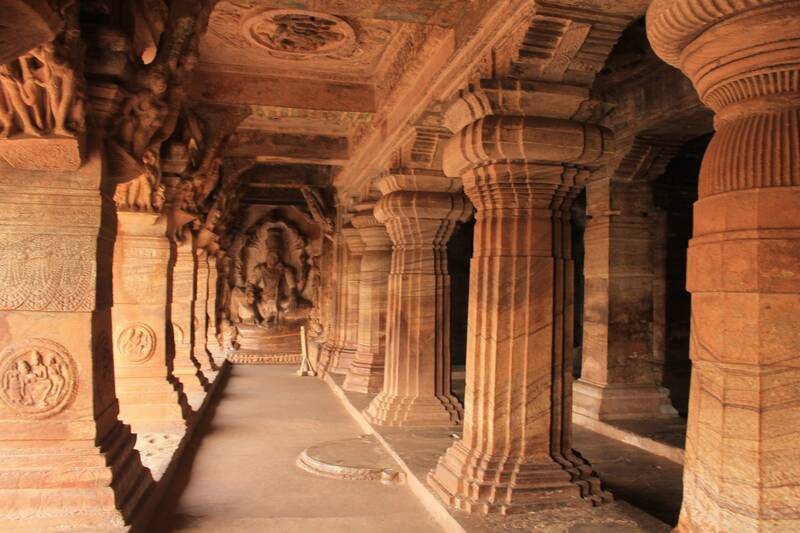 The Badami Caves represent some of the earliest known examples of Hindu temples. There is a temple carved by the Buddhists that can only be entered by crawling on all fours. 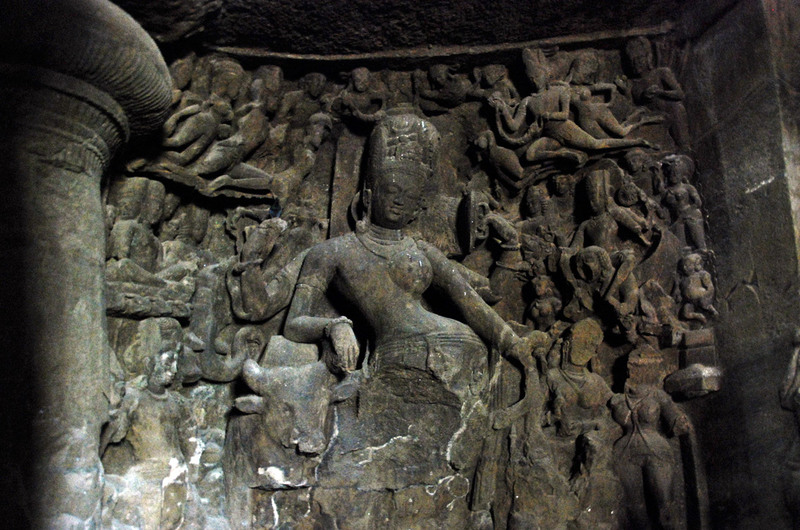 The largest cave features Vishnu-related mythology, which is intricately carved. 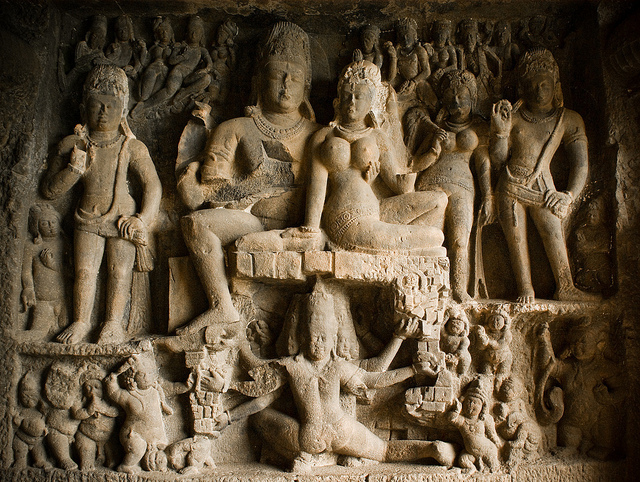 The various forms of God Vishnu has been depicted here, and is spectacularly visible from the entrance of the cave. The entrance of the Badami Caves, believe it or not, is man made. It consists of a rectangular pillared veranda, hall and a small shrine cell towards the end of the cave. 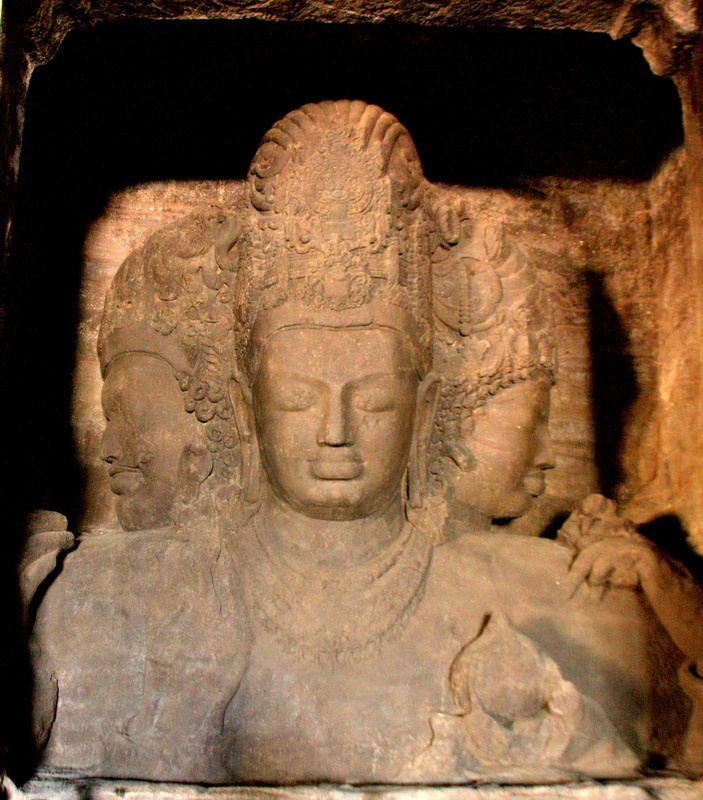 The Elephanta Caves are a network of sculpted caves located on Elephanta island or Gharapuri, Mumbai. 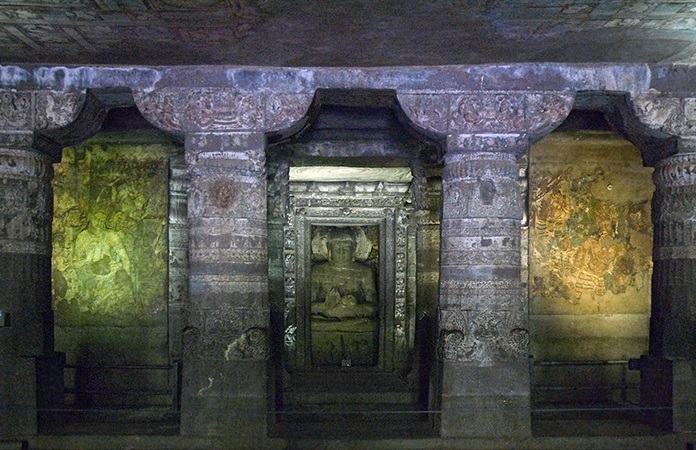 The caves consist of 2 groups – a group of five Hindu caves, the second, a pair of Buddhist caves. 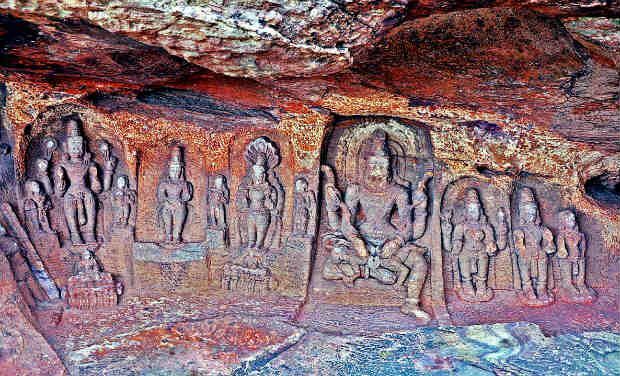 The Hindu caves have sculptures dedicated to Lord Shiva. 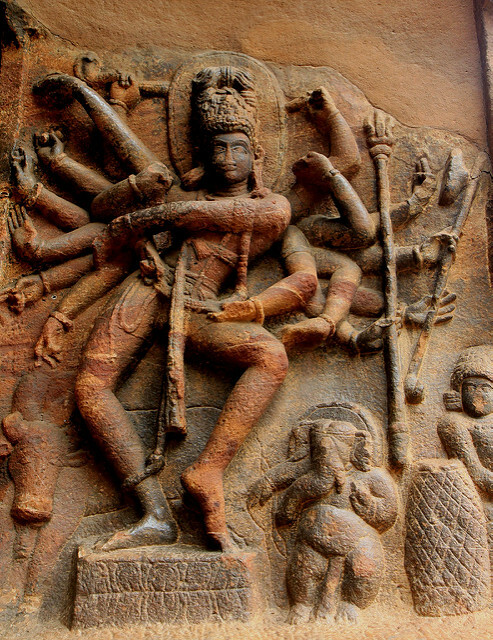 A must-see is the 20 feet high Trimurti sculpture and is considered the most important of sculptures. This is also considered a masterpiece of Gupta-Chalukyan art. The Ardhanarishvara statue, the androgynous Shiva. The sculpture’s left is female and the right is male, depicting Lord Shiva and his consort Goddess Parvati. The rock-cut architecture has been dated between the 5th and the 8th centuries; the identities of the original builders are still a mystery. But the sculptures & statues are truly a sight to see. Zooming away to these caves does seem worthwhile, doesn’t it?